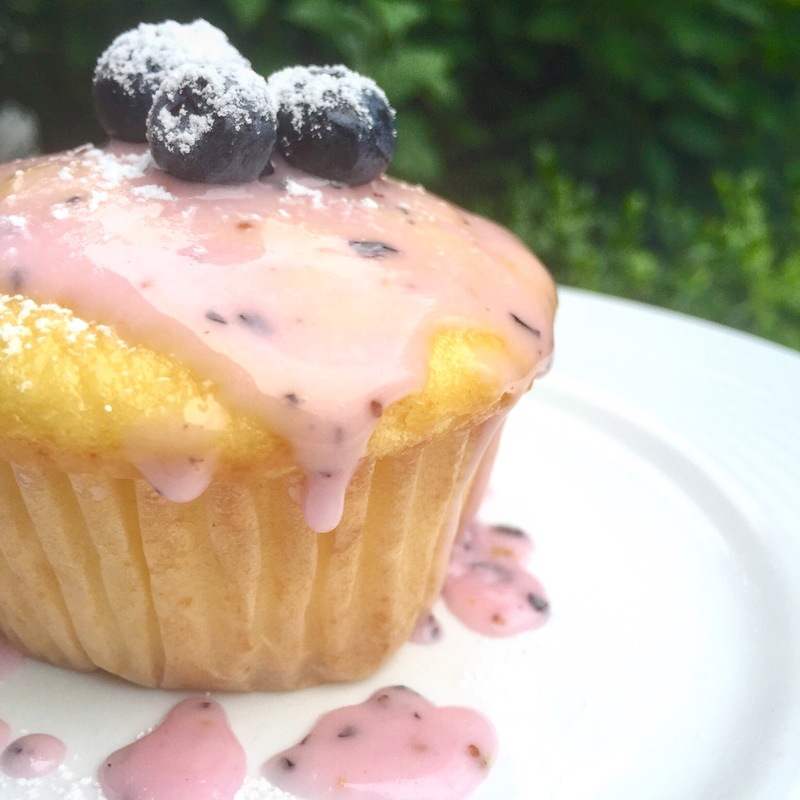 This recipe for Vegan Lemon Muffins with Blueberry Icing is so simple that I don’t even know if it’s really a recipe. It uses a boxed mix! Shhhhh! I just follow the directions on the back of the box and use energy egg replacer instead of eggs and add blueberries. It almost most feels like cheating, but I’m okay with that! I spend so much time in the kitchen that it’s nice to have a simple treat that doesn’t take long to make. Dress it up fancy and no one will know it’s a boxed mix! This recipe is dairy free, egg free and nut free. The way the recipe is written it does contain wheat, gluten and soy, but a gluten-free, soy-free box mix can be substituted. In all honesty though, just because you have diet restrictions doesn’t mean you need to make everything from scratch anymore. Make things easier on yourself and use the safe, boxed items that are available to you. There so many fabulous options available now compared to just five years ago. Plus, no one will even notice. I like to make different batches of muffin recipes and freeze them without icing. I’ll take four out at a time and frost them while they’re still frozen. It makes the icing stick better to the muffin while they’re still cold. Make the muffins by following the directions on the side of the box. I use enerG egg replacer instead of the eggs and I add 1 cup of blueberries to the mix before baking. Using an immersion blender, blend the powdered sugar and 3 blueberries. If the consistency is too thick, slowly add more blueberries until perfect. If the mixture is too thin, add more powdered sugar. Top each muffin with three blueberries for a pretty presentation and sprinkle with powdered sugar.